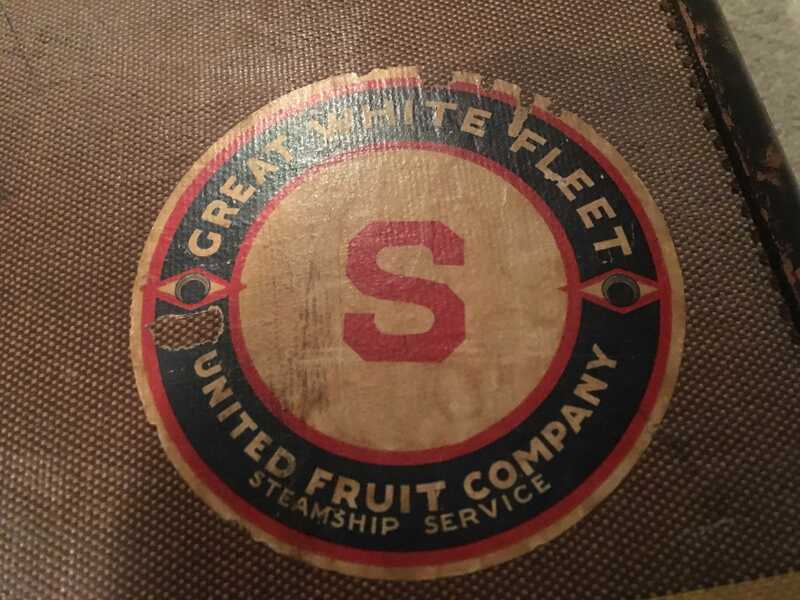 More information on this United Fruit Company Great White Fleet sticker? I recently received an old suitcase from my mother, claiming it used to belong to my great-grandmother. It had this sticker for the Great White Fleet Steamship Service on it. I was trying to look into it, and eventually, that led me here. I was wondering if anyone could date the sticker, or tell me if it provides any information, such as if the S in the middle was significant.